Thanks are owed to Beltway Confidential for the text of Jindal’s excellent speech from January 24, 2013. 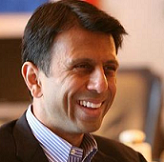 By the way, a worthwhile commentary on this speech is found here: Quibbling with Jindal’s Roadmap. Let me warn you in advance that I plan to talk big picture here tonight, and I plan to say some things that may challenge your assumptions. You may not agree with all of it, but that’s okay, ours is a party that can handle real discussions.